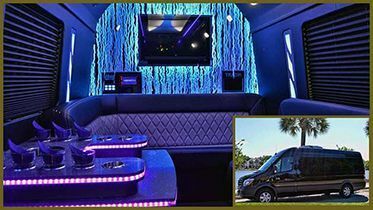 Charleston Black Cab knows tying the knot is a big deal, and we believe a woman’s last few days of single status should be full of fun, excitement and lots of partying on our decked out party buses! 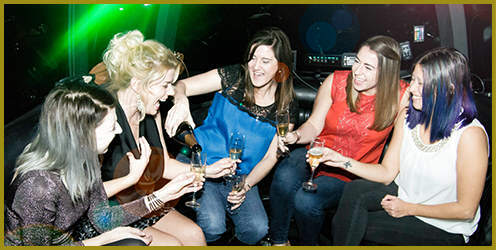 The Charleston Party Bus is the perfect way to treat your bachelorette to a great night she’ll never forget. 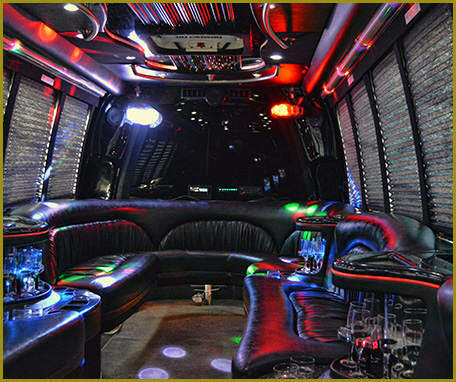 With a Party Bus, you can visit all the shopping destinations, restaurants, strip clubs, martini bars, and nightclubs in style & comfort, without any worries. Your designated driver is a professional chauffeur who knows all the top places to party, so you’re sure to have an entertaining night! If you’re looking to soak in the sun and relax with a nice glass of wine, we recommend our Sippin’ Wine tour package to explore Deep Water Vineyard & Firefly Distillery. For a day of pampering, we suggest massages and a spa day at our sister company, Tropical Tan & Spa. With a Party Bus, the party never ends, even after the clubs close! 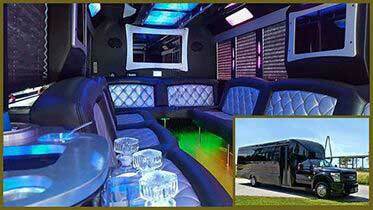 This is why a Charleston Party Bus is the best option for your bachelorette party celebrations. 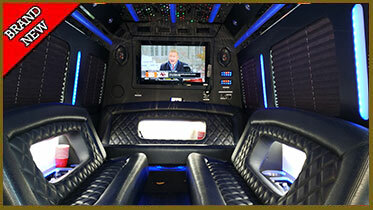 Our Party Bus is the best way to have fun while being safely chauffeured around town. No worries about drunk driving or designated drivers…no filling up the tank..no beating traffic…no finding a parking spot or paying for parking. 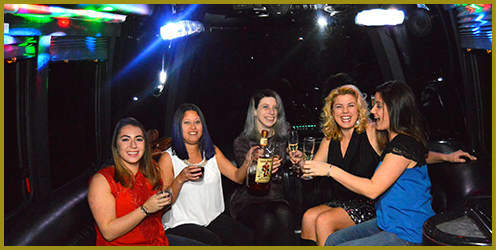 If you know how to party and want to have a sensational time with all your girlfriends during your Charleston bachelorette party, let Charleston Black Cab take the wheel. Are you prepared to make your reservation? Would you like hourly service vs round trip? We require a 50% deposit upon booking and charge the remaining balance the day before service. 7 Day cancellation Policy. If cancelled outside 7 days, you will be assessed a 50% fee. No refund inside 7 days. John is a great tour guide. Being part of a bachelorette party, John showed patience and helped keep us all together on time and together. Would Really recommend! Crafted travel did an amazing job! !John took such good care of everyone and made my future sister's bachelorette party a HUGE success! I highly recommend them!